Kevin Turner played in the National Football League for eight years. When he died, the NFL said nothing. They could have started by asking for forgiveness. Turner was then lead plaintiff in a lawsuit levied against the league, which resulted in a $765 million class-action settlement. Some players believed that this amount was not enough, but Turner argued that to appeal it meant that people in his situation, dealing with crippling medical bills on a regular basis, would leave this world before assistance could help their families. They make these denials even though in 2014 the league quietly agreed to facilitate, as Ken Belson in The New York Times described, “an open-ended commitment to pay cash awards to retired players who have dementia and other conditions linked to repeated head hits, according to documents filed in the United States District Court for the Eastern District of Pennsylvania.” They make these denials even though the NFL finally admitted to Congress earlier this month that links exist between their sport and CTE. Most pointedly, they make these denials the very week that the Times, in a devastating report, showed how the NFL has cooked the concussion books. The Times demonstrated that “more than 100 diagnosed concussions” were omitted from NFL studies from 1996–2001. These doctored studies were used by the NFL to argue in numerous medical journals and under oath to Congress that there was no connection between their sport and long-term brain injuries like the ALS that killed Kevin Turner. If this kind of doctored science and manufactured negligence bears a strong echo to the tobacco industry, that is no accident. Despite NFL lawyers’ telling the Times that Big Tobacco is “perhaps the most odious industry in American history,” it hasn’t stopped them from sharing “lobbyists, lawyers and consultants.” The Times also showed personal correspondence, dinner invitations, and a “request for lobbying advice” between Big Tobacco and Big Football. The Times reporting, which has the NFL scurrying to buy a full-page ad in the paper to issue a rebuttal, shows that this is not only a “league of denial” but a league built on lies and broken lives. Kevin Turner and I stayed in contact, remaining friends. The Kevin Turner I knew was willing to spend his last years raising awareness about the connections and fight back. He started The Kevin Turner Foundation to provide “education, support, and medical resources” for families dealing with the ALS that comes from high-concussion sports. He did help, not that the NFL wants you to know about his work. 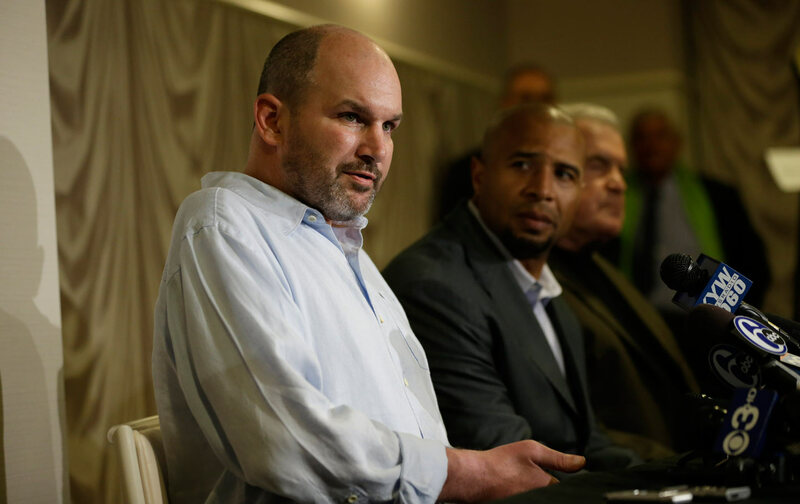 When Kevin Turner passed, there was no statement from the league. There was not even an original article on its website, NFL.com. Instead, it just posted a reprinted report from the Associated Press. Instead, we had to hear Jerry Jones, Bruce Arians, and, through his silence, Roger Goodell effectively scoff at Kevin Turner’s work and the last years of his life. Perhaps Goodell is being quiet because he is working on his acceptance speech for an honor he is being given by the Jacksonville Sports Medicine Program called the Leadership in Sports Health, Safety & Research Award. This is not a joke. To see Roger Goodell so honored concurrent with Kevin Turner’s death is to bear witness to the sports version of seeing Henry Kissinger win the Nobel Peace Prize. It also confirms, as if we needed more evidence, that we might love watching the NFL, but—as Michael Jackson put it—they don’t care about us.